Due to severe weather conditions predicted for tomorrow March 2, 2019 we have decided to postpone the Braintree Winter Farmers’ Market until next Saturday March 9, 2019 from 9 to 1. Rather than jeopardize your safety we feel that this will be the best solution going forward. The Braintree Town Hall auditorium has been booked for next Saturday so we are good to go. Sorry about the inconvenience but we hope you ALL can make it next Saturday. When: Saturday Feb 2, Mar 2, Apr 6, May 4, 2019, 9 AM – 1 PM Where: Braintree Town Hall, 1 JFK Memorial Drive, Braintree Description: Due to popular demand we are now hosting four farmers markets during the winter and spring months. The Braintree Farmers Market will be held inside the Braintree Town Hall Cahill Auditorium. Support your favorite vendors, meet new vendors and enjoy your favorite local foods throughout the year. Horse-drawn Hayride during the Thanksgiving Market sponsored by Liberty Bay Credit Union. Description: Celebrate the end of the Farmer’s Market season with a full harvest for your holiday table. All of our farmers and vendors and a few more will be on hand to provide you with the freshest local foods around. Gift baskets & local crafts will also be available. The market will be located inside and in front of the Braintree Town Hall. A complimentary horse-drawn hayride will be located in front of the town hall where you can board the wagon for a nostalgic trip into yesteryear sponsored by Liberty Bay Credit Union. Music throughout the season has been sponsored by BELD. Please join us for some holiday cheer as we send off the Braintree Farmers Market for another year. Stuffed animals, worn clothing, old linens, towels, blankets, curtains; Old shoes, sneakers and boots; Old accessories, belts, ties, backpacks and purses. The Braintree Farmers Market is currently being organized for the 2017 season. We’re looking forward to providing our community with another abundant harvest of local foods and farms. Our committee is in the midst of signing on our past vendors and recruiting new ones that we think will add more diversity to our high quality local food products. If you think you would like to become a vendor please fill out our Potential Vendor Survey with your information. If the committee determines that your products would make a good fit you will be contacted and sent our applications. The market only allows happy vendors with a sense of humor. NO crafts. The BFM has already reached it’s capacity for produce growers but will still consider artisan foods made locally. All prepared foods must be made in commercially permitted kitchens, vendors must present proof of insurance for your business, and obtain a temporary food permit from the Braintree Board of Health. The Town of Braintree has approved Farmer Wine tasting at the market and we are presently seeking farmer wine vendors to join our lineup. Volunteers are the reason for the success behind the Braintree Farmers Market. We’re always looking for folks to help out at the market with specific tasks on market days and special events. If you think you have a unique talent that would compliment the farmers market, or would simply like to pitch in, we would love to hear from you. Join our dynamic and devoted team that brings local farms and foods to Braintree with a flair for environmental issues. Questions or comments? Email Pepe at secretarypepe@netscape.net. The Braintree Farmers Market hosts one Community Tent which includes a table and chairs, available every week for the use by a local, non-profit, community organization (free of charge). The market is currently organizing the Community Tent for the 2017 season. Please review the Rules and if you think your organization may benefit from this opportunity please contact donnai@braintreefarmersmarket.org Space is limited. The Braintree Farmer’s Market would like to thank the following companies and organizations that help the BFM through their generous support. Please be sure to return the favor by thanking them with your patronage. On Opening Day/June 17th Braintree Cooperative Bank will be handing out complimentary herb seedling plants grown by Second Nature Farm while supplies last. Liberty Bay Credit Union has made a pledge to our Matching Funds EBT Program to help make our healthy foods accessible to all income levels. 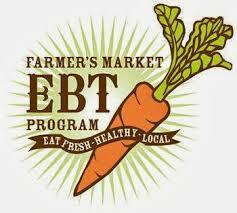 For every $15 of EBT tokens purchased the market matches it with another $15. Liberty Bay Credit Union has been a generous sponsor for the Annual Thanksgiving Holiday Market. A YUGE Thanks to Braintree Electric Light Department for sponsoring the Braintree Farmers Market Local Musicians Series for the 2017 season. BELD also donated the events tent to the Braintree Farmers Market that is used for our Special Events. Thanks to EVERYONE who supports the Braintree Farmers Market and stay tuned! Description: Celebrate the end of the Farmer’s Market season with a full harvest for your holiday table. 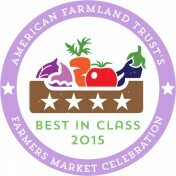 All of our farmers and vendors will be on hand to provide you with the freshest local foods around. Gift baskets & local crafts will also be available. The market will be located inside and in front of the Braintree Town Hall. Some of our vendors are providing Special Ordering which means you can place an order with them and pick it up on Nov 19th during the farmers’ market. * Home made classic hummus: Chickpeas, fresh lemon juice, tahini sauce, garlic, and sea salt. Apple pie, Pumpkin pie, Strawberry rhubarb pie, Baklava, Special orders for Gluten free, 0 calorie sugar, and dairy free pie. NOTE: all savory fatayer, bastila, chees are half cooked are ready to be finished baking for an other ten minutes Thanksgiving day. Special Orders with Fresh Catch can be made thru their website. Call 508-339-5187 to place orders. The Vermont Syrup Company is doing a promotion where any pre-orders made will receive a 10 percent discount. Also, when any of our quantities of maple syrup or maple cream are purchased in quantities of 6 or more they will receive 20% off. Email vermontsyrupcompany@gmail.com to place your orders! Live music and a horse-drawn hayride. This event is sponsored by Liberty Bay Credit Union. Music sponsored by Braintree Electric Dept. This is a hoe-down not to be missed! Public Power Week this year with a special tent at the Braintree Farmers Market Oct. 1. Join Braintree Electric Light Dept. at the Farmers Market between 9 a.m. and 1 p.m. Saturday, Oct. 1, on the Town Hall Mall. Shoppers can visit with BELD staff, who will answer questions about our solar energy project and BELD Broadband offerings. Also, a representative from www.braintreedriveselectric.com will be on hand to show off an electric vehicle (EV), take signups for test drives, and provide information on BELD’s new EV program. Kids can pick up a hardhat and explore the bucket truck—parents are encouraged to bring a camera. There will be a “Taste of the Farmers Market” drawing just for Braintree residents (look for the entry form in BELD’s Bright Ideas newsletter with September electric bills). Description: Throughout the market day Allen Hiltz, our local beekeeper expert, will be under under our events tent fielding questions about how to raise bees and harvest honey. Allen brings along his observational hive so you can witness this complex social community of bees who all hail to the queen! Stop by and try to find her among her many subjects. Bring all your questions about this burgeoning hobby. zzzzzzzzzzzzzzzzzzzzzz….. Description: Throughout the market day their will be chicken experts under our events tent fielding questions about how to raise backyard chickens. At 11am there will be a Backyard Chicken seminar with in depth information. Love the local food movement? Ever thought you might like to try keeping your own chickens? Come join “The Chickeness”, Khrysti Smyth, of Yardbirds Backyard Chickens for a rundown of popular breeds, housing needs and design, feeding and care, health, laws and zoning, info on how to effortlessly mix chickens and neighbors, and everything else you might want to know about keeping your own backyard chickens. Course materials will be provided, and each attendee will receive a signed Certificate of Course Completion. Come find out whether keeping chickens might be a good addition to your garden, your kitchen, and your family’s overall health and well-being, and meet a few of her feathered Chicken Ambassadors too! Khrysti Smyth (AKA The Chickeness) has been an urban backyard chicken farmer since 2009 and is the founder of Yardbirds Backyard Chickens. With a lifetime of animal husbandry, five years as a veterinary technician, and two degrees in Wildlife Ecology, Khrysti offers a wide range of services including classes, chicken care trainings, coop and chicken consultations, chicken brokering, chicken/farm sitting, help with permits, coop building and installation, monthly maintenance and health check-up services, and even chicken and farm sitting! Lately she has been a strong advocate for your chickens helpful role as garden work-birds – happily consuming all your weeds, bugs, thinned seedlings, dead leaves, grass cuttings, etc., and turning it all into amazing compost –while still adding delicious and healthy egg protein to your homegrown bounty!